A reporter for the Berkeley Daily Planet resigned last week, claiming that the political views of the executive editor are influencing the paper's content. In an e-mail addressed to friends, former reporter Judith Scherr accused Planet Executive Editor Becky O'Malley of shaping articles around her own political views. 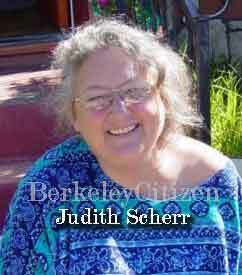 "I could no longer be part of a newspaper with such a lack of journalistic integrity," said Scherr in the e-mail. In an interview, Scherr said that her articles have been altered to reflect what she claimed were O'Malley's political biases for more than two years. "Sometimes I believed that stories were being pitched to me because she wanted to highlight someone that she was supporting," Scherr said. "She would add little things to stories that made people either look good or look bad according to how she felt about them without telling me." Scherr said the final straw came after she was assigned to write a story that she claimed was influenced by O'Malley's alleged bias. The story, published on Sept. 11, concerned mayoral candidate Shirley Dean and District 5 City Council candidate Sophie Hahn. Scherr said she was unaware that Hahn had packed an endorsement meeting with supporters, which she said O'Malley had known about when assigning the story. "I was pretty upset because that meant that when the editor assigned the story, she had this piece of information that totally contradicted what would have been an important part of the story," Scherr said in an interview. "I think she's lying and I don't really know what her problem is," O'Malley said. "It's very, very strange-she complains that she missed one crucial fact which she believes it was my job as an editor to tell her. I cannot image how she missed it because everyone else in the newsroom heard it. I'm sorry poor Judith seems to have taken this turn, it's very unprofessional." O'Malley said Scherr had never complained about any politicizing of any of her articles. However, Scherr said she frequently battled O'Malley during the editing process. "I did all the time," Scherr said. "Sometimes I would be in the office and see the changes and then confront her about it. I had to pick and choose my fights, but I brought that up to her many times." Although such alleged conflicts of interest happened at papers of all sizes, Neil Henry, interim dean of the UC Berkeley Graduate School of Journalism, said it is more likely to occur in smaller papers. "You may find more of it in small papers because they're very small operations and they're often keenly tied to local business and political interests," he said. Henry said the alleged bias is problematic because it compromises a journalist's ability to serve the public. "You want your journalists to be beholden to the public and the public interest," he said. "When a publisher has people working on a staff who just follow the party line, they aren't really serving the public's interest." O'Malley said the Planet received a recorded voice mail from an unknown source threatening to expose Scherr's e-mail. "It was a little bit scary-it was a recorded message on the voice mail saying that they sent (Scherr's) letter to all print media so your days are numbered," she said. "It's frightening and it's threatening to all of us." According to Henry, Scherr's allegations are evidence of difficult times for the Planet, which stopped publication in 2002 and reopened in 2003 under the leadership of O'Malley and her husband. The paper scaled back its production to one day a week in April 2008. "It's very sad when these things happen, particularly at a newspaper like the (Berkeley) Daily Planet that's just struggling to survive," Henry said. "There's so many stresses on that newspaper for survival in the digital age, so I'm not surprised that these things are happening." "While we’re on the subject of pollution, a former employee here has chosen to quit, trailing a cloud of sulfurous smoke. Concerned friends have inquired. Anyone who’s heard about this and is curious is free to ask me about it. I see no benefit to anyone in airing my complaints here. The reporter did some fine work for us, giving our readers important insights into our city. We were sorry to see her leave, but sorrier for how she chose to do so." Mark Twain was quoted as saying, "Never pick a fight with someone who buys ink by the barrel."